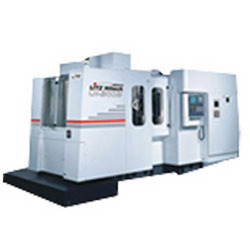 We are emerging firm involved in supplying Horizontal Machining Center which are known for rigidity and high speed machining process. Our offered products have found intense use in various manufacturing industries, owing to their durability and user friendly attributes. Procured from trusted vendors, these are manufactured in accordance with clients' precise requirements. Apart from this, we deliver these machines in tamper proof packaging at reasonable rates. Looking for LITZ Hitech Machines ?